Chances are if you have been on the keto diet for a while you have heard of the condition called “keto crotch.” Although this somewhat stinky side effect of eating a keto diet has no real research to back it up, people on the diet are reporting a less than pleasant odor coming from down under. Keto crotch is much like another phenomenon, keto breath, often experienced by people eating a low carb, high-fat diet. As the body goes into ketosis and is breaking down fat as opposed to carbs for fuel, it releases ketones. These chemicals are naturally produced in the body, but when the body produces more of them, the excess can cause your poop, pee, and breath to smell a little bit. According to Jessica Shepherd, MD, a gynecologist in Dallas, the keto diet changes the vaginal pH – and that changes your vaginal odor. This is probably what people are referring to when they say “keto crotch.” The odor should not last long – perhaps for the first couple of weeks when you start the diet. If, however, the odor is accompanied by itching or burning, you should see a physician. What about the keto crotch rash? In addition to a slightly unpleasant crotch odor, some women eating a low carb, high-fat diet, are reporting that they have noticed a rash in their crotch area. However, once your body gets used to the diet, the rash and odor should become less noticeable. If you have a persistent rash, you should make plans to see your physician. Frequent urination – Changing to a high-carb diet to an extremely low-carb diet reduces insulin levels in the body. As the insulin levels drop, the liver starts to convert fat into ketones. It takes your organs a while to become adjusted to this new energy source, and as your insulin levels drop, your body begins to secrete more sodium with water. This causes an increase in urination in the first week or so of the diet. 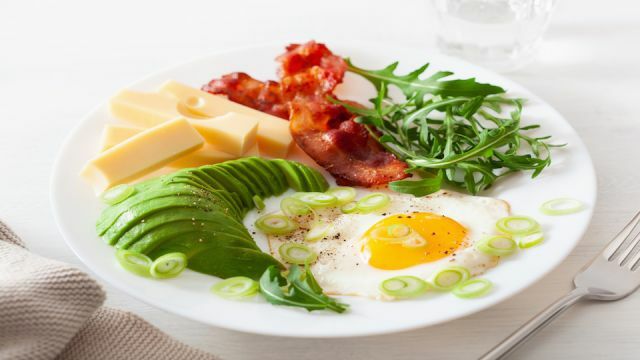 Keto flu – When you lose a lot of salt and water, you might experience symptoms of keto flu. These symptoms are much like those experienced with the regular flu and include headaches, lethargy, body aches, nausea, and dizziness. These symptoms will generally go away after a week or so. Keto diarrhea – Because the keto diet is high in fat, it can make your poop more liquidy than usual. If you also use artificial sweeteners, these can also cause stomach issues. If you notice your stomach issues persisting after you are on the keto diet a while, try switching up your sweeteners. During the first several weeks of switching to a keto lifestyle, you may develop some of the unpleasant side effects mentioned above. To combat this, simply add one half a teaspoon of salt to a glass of warm water. You should feel better in about 15 to 30 minutes. For a tastier alternative, drink bone broth chicken or beef stock, consomme, or bouillon. Be sure that you are drinking enough filtered water – at least half your body weight in ounces daily. Take it easy with physical activity the first couple of weeks until you have transitioned to burning ketones. This means taking a nice long walk instead of doing a hard run or cutting your weights a bit for your resistance training. Easy yoga moves and gentle stretching are also effective in the early stages of the keto lifestyle. Don’t restrict calories in the early stage. Eat as much as you want of the approved food if you are hungry. Eat slowly and mindfully, paying attention to signs of hunger and fullness. The more in touch you are with your body, the better you will feel. Hey Buddy!, I found this information for you: "What is Keto Crotch and Do You Have It?". Here is the website link: https://www.thealternativedaily.com/what-keto-crotch-do-you-have-it/. Thank you.